Staying independent into one’s golden years can be a challenge. Many seniors can no longer drive, and public transportation seldom goes where they need to go, when they need to be there. 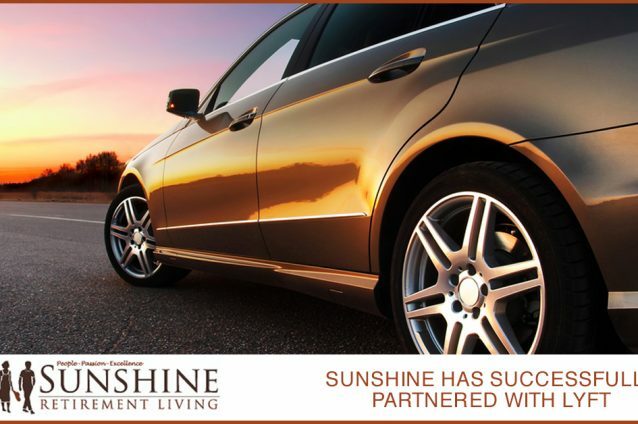 Find out how Sunshine Retirement Living is helping improve their quality of life with better transportation options. Retirement communities often answer the need for reliable, flexible transportation by providing shared van services, often scheduled, that tie residents down to doing their shopping at specific times and having to schedule healthcare appointments at times convenient to the driver and others rather than them. Visiting friends and family or going to cultural events that are not “on the list” of events transportation is provided to can be difficult, and often forces their family to come to them rather than the other way around – a challenge when the grandchildren are young. Quail Lodge in Antioch, Calif.
Creekside Oaks in Folsom, Calif.
Waterford Terrace in La Mesa, Calif. Deer Park in Novato, Calif.
Villa Serena in Santa Clara, Calif.
Dunwoody Pines in Dunwoody, Ga. The Landing at Behrman Place in New Orleans, La. Summerfield Estates in Tigard, Ore. The service is available not just to residents but to family members and caregivers. The process is simple – you tell the concierge where you want to go and he will get you a friendly, local driver quickly. You can schedule rides up to a week in advance, and the rides are charged to your monthly statement when they are completed. Allowing you not to worry about having cash for paying or even tipping. According to Sunshine CEO Luis Serrano, “Using a ride-sharing service like Lyft is becoming less foreign to (our residents), and they now see it as a way to enhance the quality of their lives.” The service will add to residents’ independence and ability to do their own thing and reduce social isolation. Being independent longer helps you stay independent longer. Sunshine has chosen Lyft because they are dedicated to providing safe rides, and offer rates about 35 percent cheaper than other ride services. Lyft does detailed background checks of all drivers and has a zero tolerance policy towards drugs or alcohol, as well as a mentorship program to ensure that they choose only the best drivers. They also support safety by inspecting vehicles. As seniors become more savvy about the internet and social media, they are also becoming more comfortable with the idea of using ride-sharing services. Lyft offers flexibility – the ride-sharing service will take them to medical (and vet) appointments, to run errands and to visit and do cool activities with the grandchildren or their friends. If they are traveling, Lyft can also get them to an airport or train station. Response times are quick, allowing residents to do things more spontaneously rather than having to wait for an “organized” ride. There is no need to carry cash to pay or tip Lyft drivers. 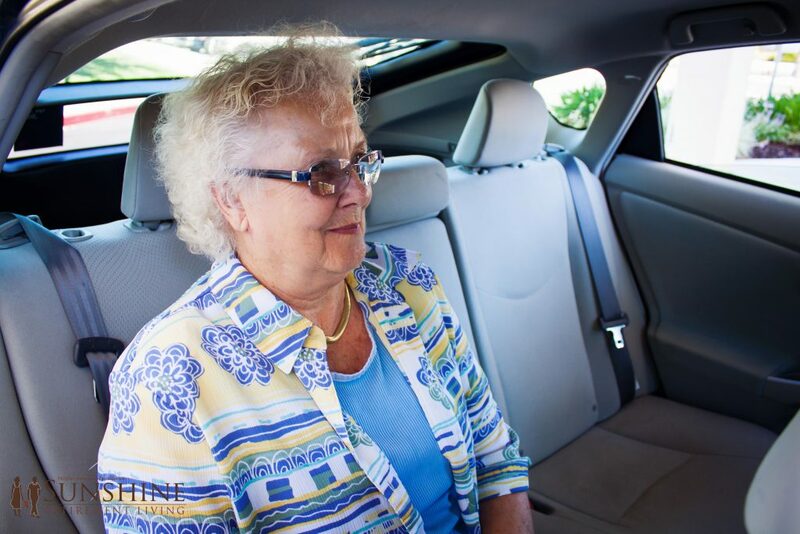 Using Lyft is likely to save seniors hundreds of dollars a year – important when on a fixed income. Sunshine Retirement Living manages 19 retirement communities in seven states, ranging from senior apartments to specialized memory care. They seek to offer independence and promote social interaction. This matches well with Lyft’s mission to help people connect through better transportation. Sunshine Retirement Living also provides meals, activities, utilities and professional, trained staff to help seniors enjoy their lives and stay independent longer. 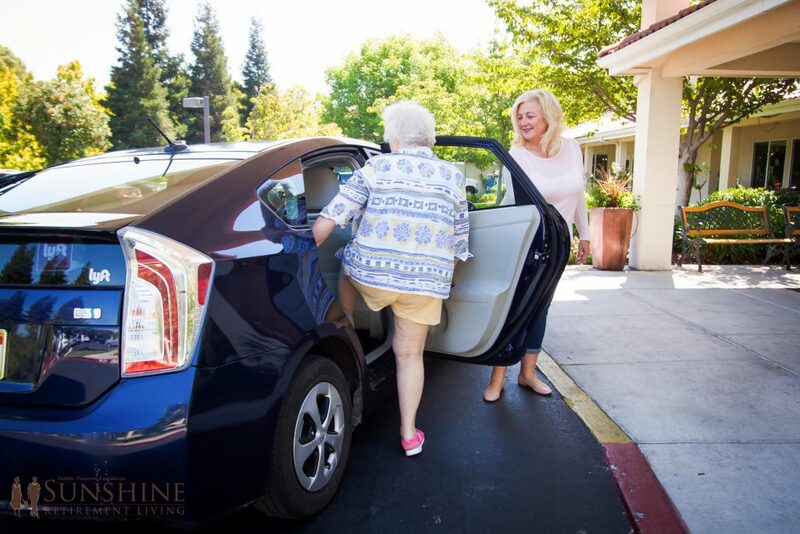 If you or a loved one are interested in high-quality retirement living with better transportation options, contact Sunshine Retirement Living today to find out about our carefree communities.